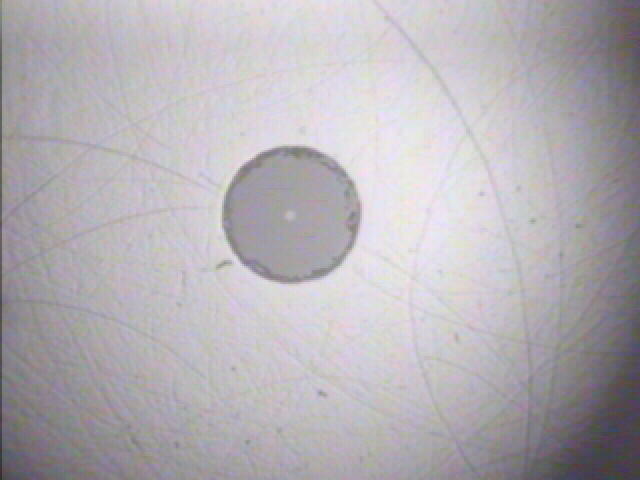 This is a clean single mode test cable. 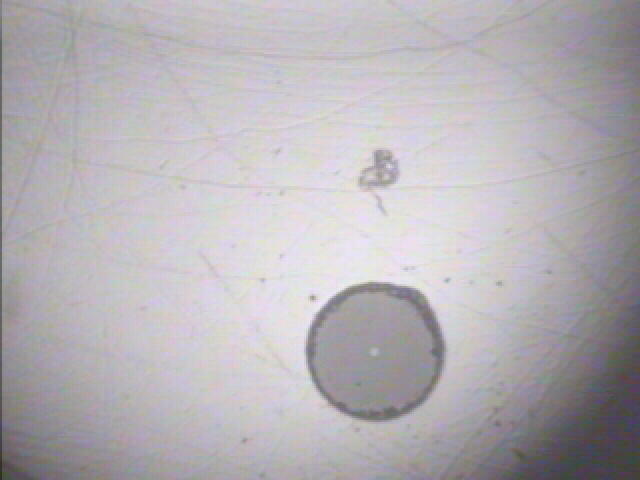 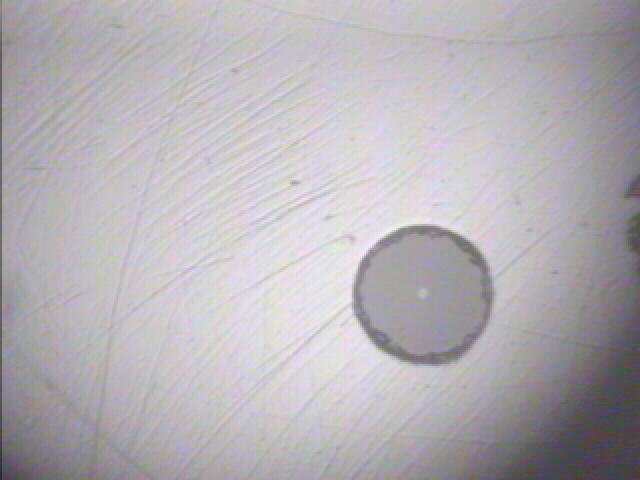 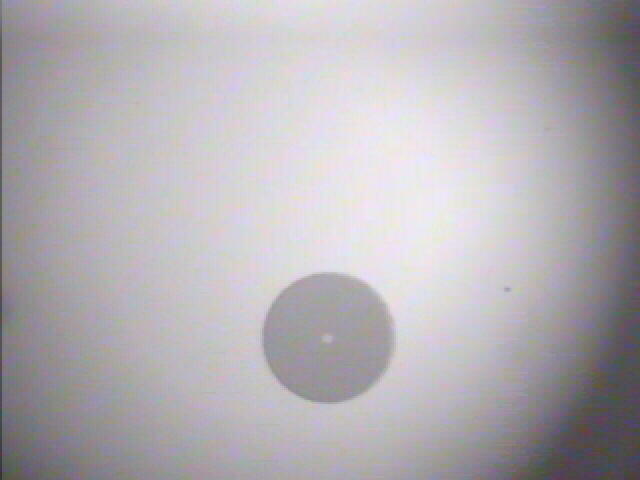 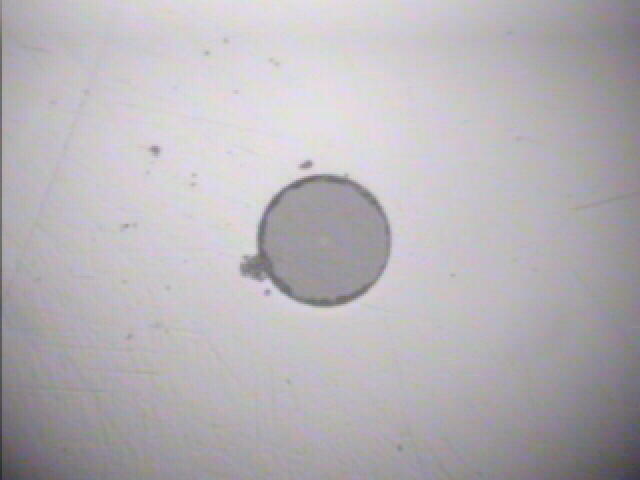 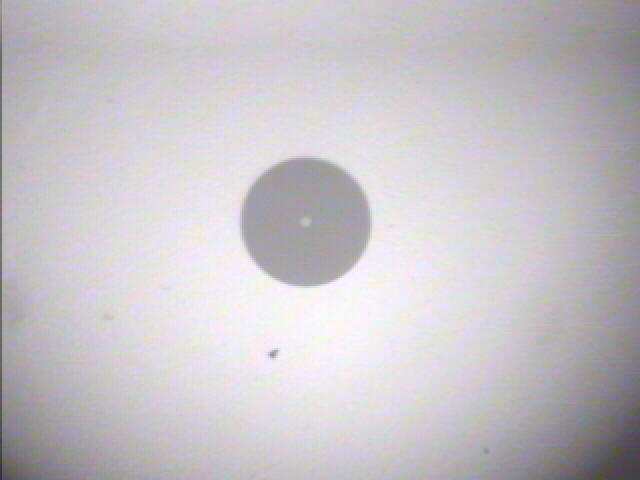 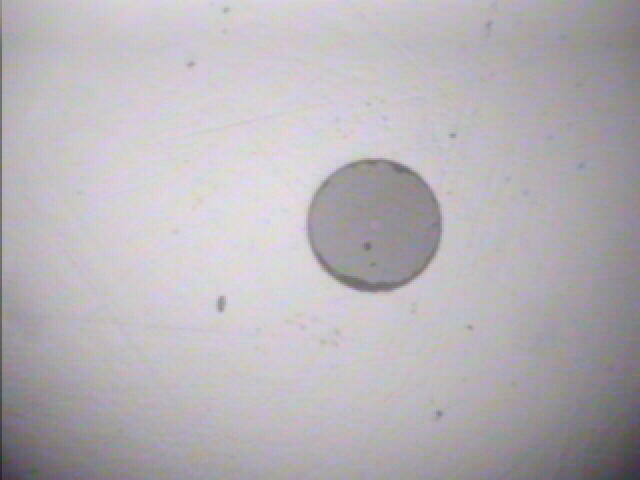 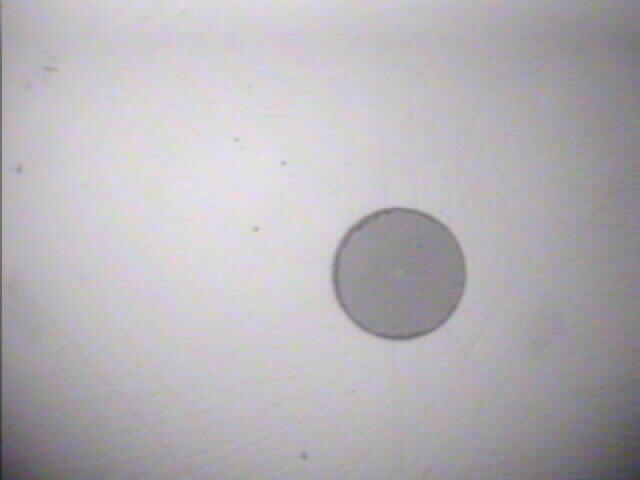 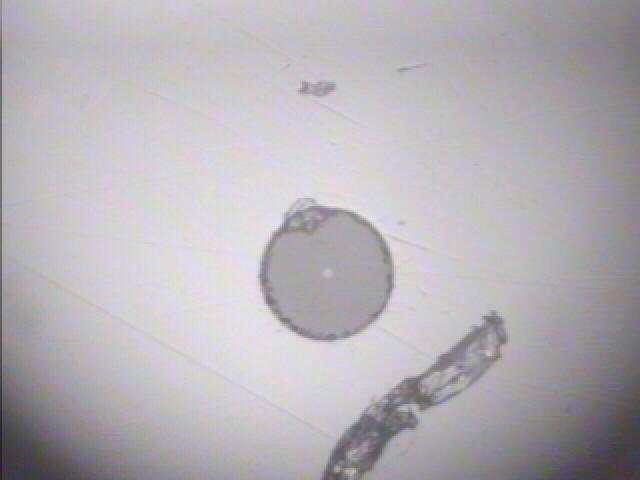 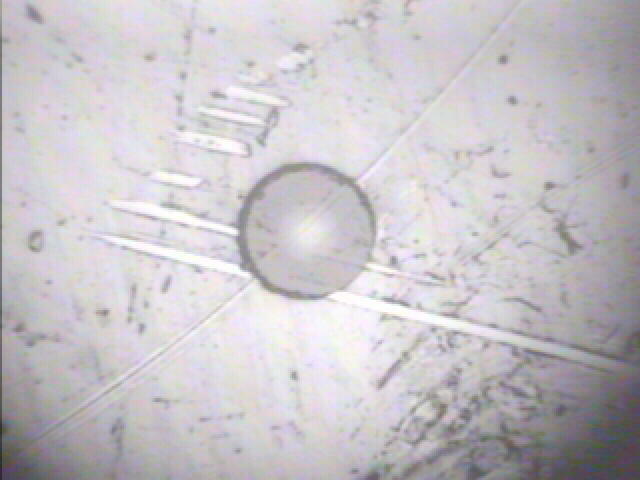 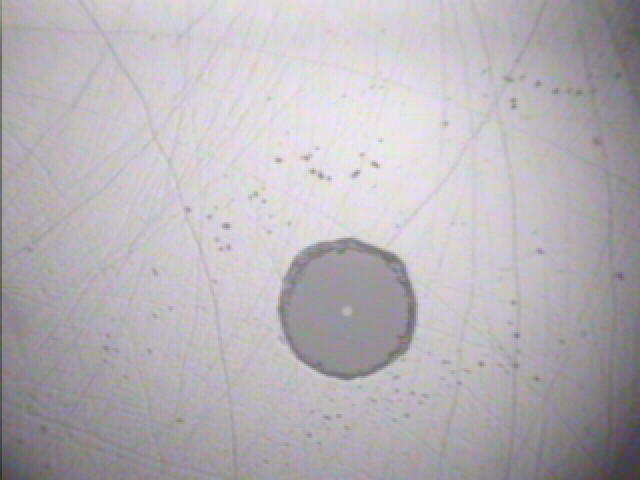 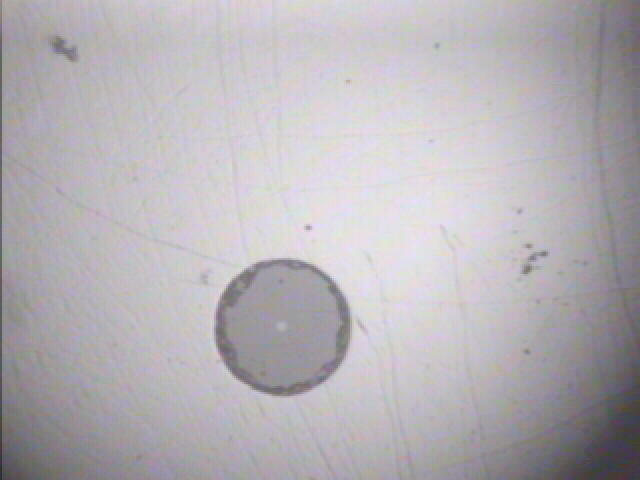 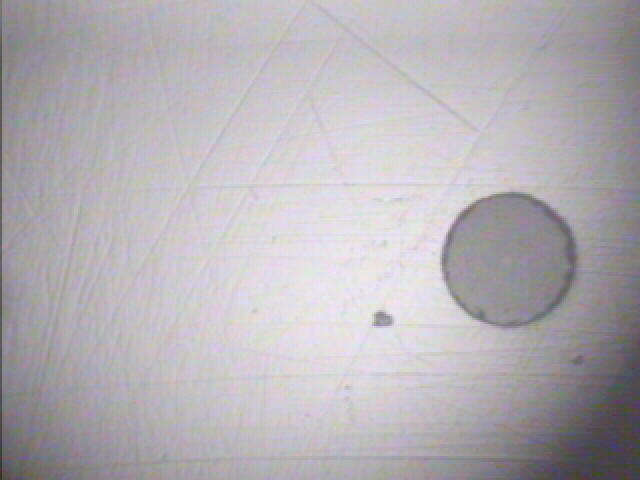 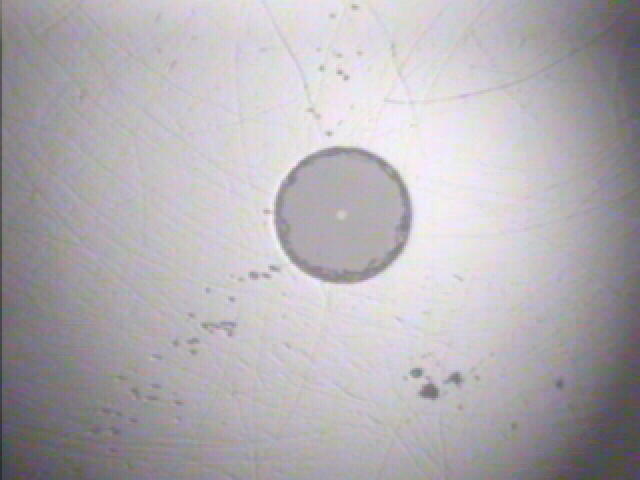 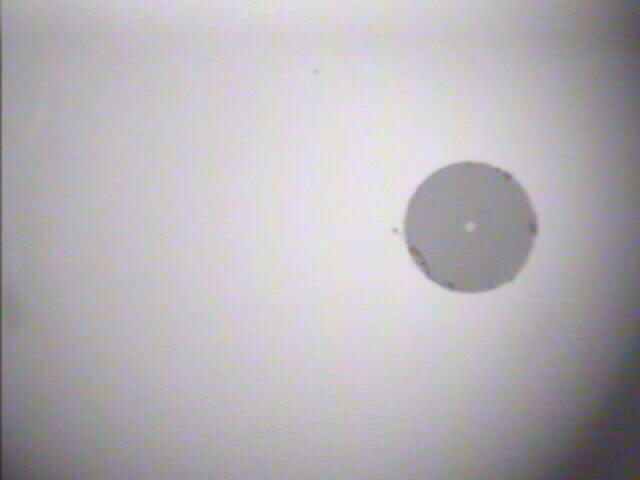 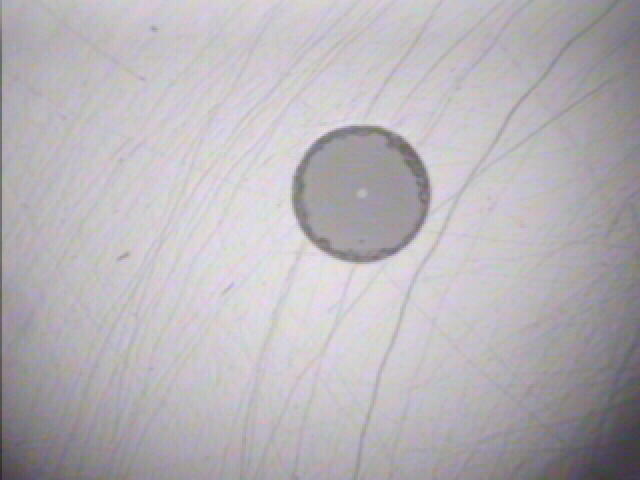 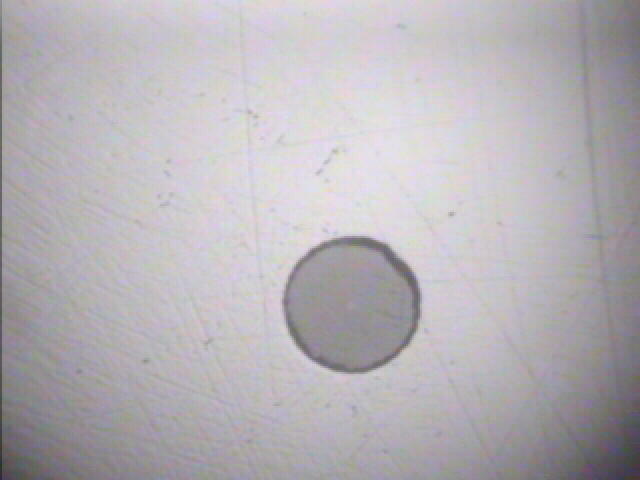 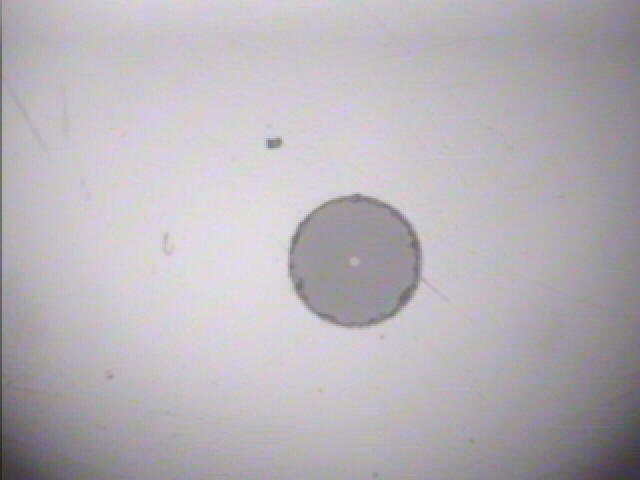 The light spot in the center is the 9 micron fiber core. 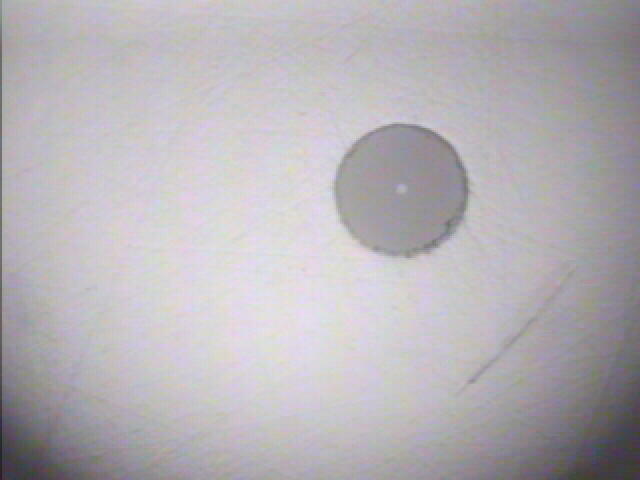 The grey circle is the 125 micron cladding that surrounds the core. 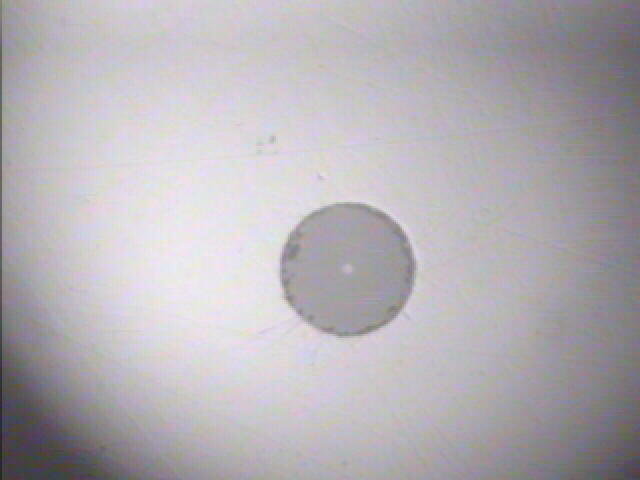 The following pictures are single mode fibers in Comm 6 that connect to the machine room. 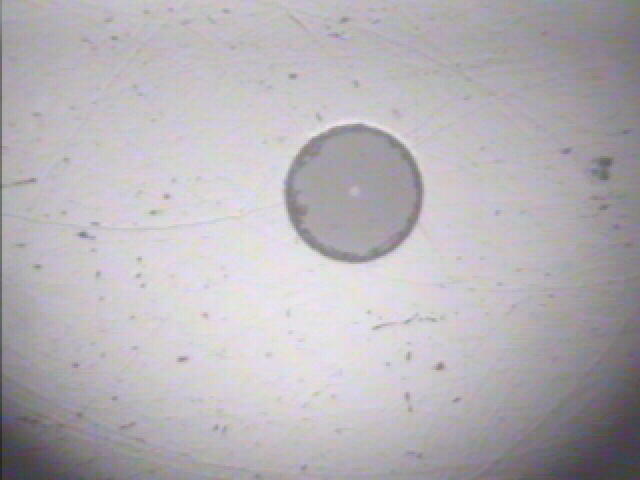 These fibers are single mode strands in room 6 that connect to ISB. 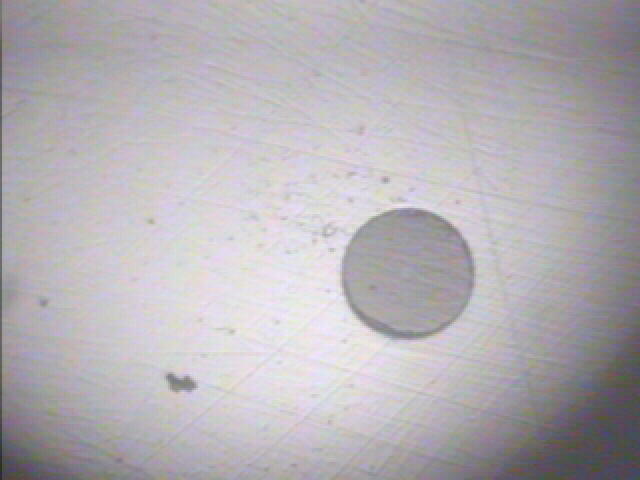 This is a dirty multimode jumper that was lying around. 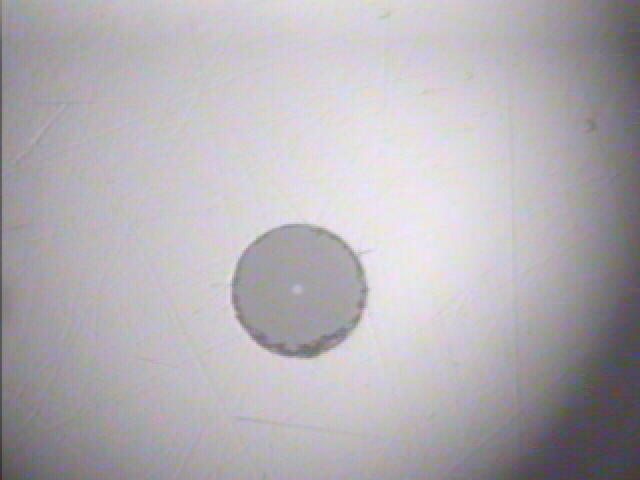 The lack of definition of the nominal 62 micron core is evidence that this is a graded (graduated) index fiber.